We are fully entrenched in the digital age, so much so that you're probably reading this with a smartphone or mobile device within arms length. Similarly government is also making the shift towards a digital future. But with moving away from paper-based records and towards digital data, there are new opportunities for potential security risks regarding government data and content. As cyberthreats continue to grow in number and sophistication, agencies should be looking at features to secure every level of their digital infrastructure and content. 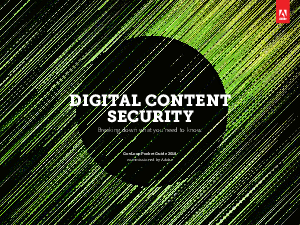 Check out this new pocket guide to learn content security best practices, why it matters, government rules and regulations related to digital data and its associated security and content challenges. You’ll also learn tips and tricks to apply at your agency to make sure your content is secure.